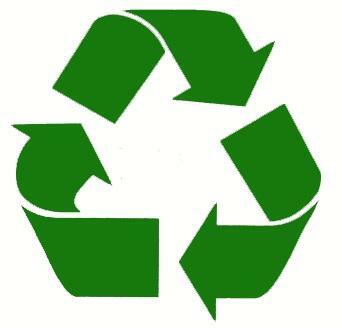 World Recycling Surfacing Group is an environmentally conscious group of companies. We realize the importance of reducing our individual and collective impact in order to preserve the earth for generations to come. Therefore, we take a lifecycle system approach, looking closely at the entire lifecycle of our products from their creation to their eventual disposal to ensure we are doing all we can to reduce our impact. Our products are made from recycled content, giving material otherwise destined for landfills a second life and reducing the need for virgin material. Our products are also designed so they can be recycled at the end of their life. In addition, all of our products are lead-free and non-toxic. We work with local manufacturing partners in order to have control over the products we offer and to reduce transportation distances and the associated greenhouse gas emissions. We have grown as a respected force in a growing industry, providing sustainable surfacing solutions and strategic alliance partnerships in our national recycling efforts. We incorporate a wide variety of recycled materials into our surfacing systems, utilizing both pre-consumer and post-consumer recycled material components. Our rubber surfacing products are made of rubber from post-consumer tires while our synthetic turf products utilize recycled plastics. Tires that are not recycled often end up in tire piles and landfills which can lead to hazardous, polluting fires and provide a breeding ground for rodents and mosquitos. According to the U.S. EPA, 290 million scrap tires are generated annually. We are proud to do our part in helping to divert these tires from landfills. Nationwide, landscape irrigation is estimated to account for nearly one-third of all residential water use, totaling nearly 9 billion gallons per day according to the U.S. EPA. Our synthetic turf products provide an attractive way to replace high water consuming lawns across the United States. Synthetic turf also reduces stormwater runoff and the use of fertilizers which can pollute local waterways. Rubberway pervious sidewalks, pavements, tree wells, and paths are porous, allowing water to permeate through the surface and into the ground as it naturally should, rather than running off into roads, storm drains, and the ocean. Water is returned to the soil where it replenishes groundwater aquifers and nourishes tree roots where they are, also reducing root heave common to standard cement surfaces. Our synthetic turf manufacturing and installation companies are responsible for removal of all synthetic turf materials at the end of their lifespan if agreed at the time of bid and support ongoing efforts to find ways to reuse the materials we recycle. Our synthetic turf is designed to be used without rubber infill making it more easily removable and recyclable.